More than 25 per cent customers have bought the top-spec variants and almost 20 per cent of sales consist of automatic variants. 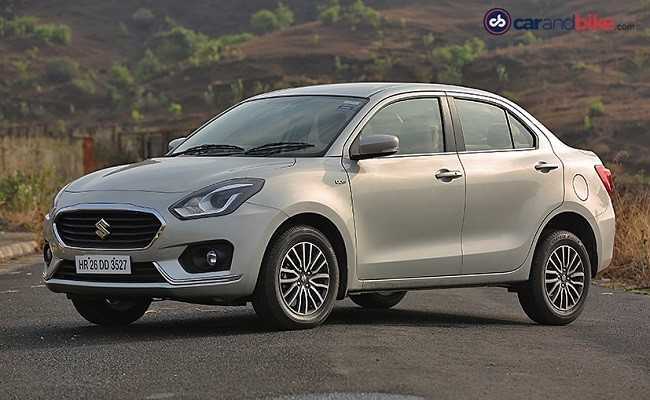 Maruti Suzuki Dzire, the popular subcompact sedan, has crossed the 3 lakh sales mark in just 17 months since its launch, becoming the fastest car to do so. The third generation Dzire was launched in May 2017. The Dzire has been one of the highest selling models for Maruti Suzuki and undoubtedly the segment leader as well. Maruti Suzuki's research says that one of the key reasons for the success of the Dzire is its design, coupled with its driving dynamics. Around 75 per cent of customers pre-decide to purchase the Dzire when they go to a Maruti Suzuki showroom. R S Kalsi, Senior Executive Director (M&S) at Maruti Suzuki India said, "We launched the new Dzire with smooth sedan styling, plush and roomy interiors, superior overall comfort and advanced safety features. It has created an excitement among our customers. The sales of new Dzire shot up by 28 per cent compared to the previous generation car." "The new Dzire meets the aspirations of young and indulgence seeking Indian customer. The testimony to it is 25 per cent of customers have opted for the top variants, which are loaded with new features. The hugely popular Auto Gear Shift (AGS) technology is available on more variants of the Dzire, starting from the V trim up to Z and Z+. Nearly 20 per cent of buyers have chosen the automatic variant. We thank our customers for their tremendous support to all new Dzire," he added. The Maruti Dzire is offered in a 1.2-litre petrol and a 1.3-litre diesel engine along with automated manual transmission or AMT offered on both models. The petrol engine makes 82 bhp and 113 Nm of peak torque while the diesel engine makes 74 bhp and 190 Nm of peak torque. The petrol model has a claimed mileage of 22 kmpl while the diesel Dzire has a claimed mileage of 28 kmpl.